BREA, CA, September 19, 2018 – KETIV, a premier engineering solutions provider and expert manufacturing consultant since 1983, has announced its partnership with ANSYS. 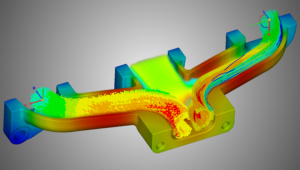 KETIV and ANSYS, a global leader in engineering simulation, will work together to provide first-class simulation technology and consulting services to the world’s most innovative companies. KETIV will deliver ANSYS® Discovery Live™ real-time simulation software to companies across the country and ANSYS’ multiphysics product line to companies across the US West. With the partnership, KETIV will be able to provide customers with the right software for their most critical simulation needs. Thus, allowing both companies to reimagine the future of manufacturing by further bridging the gap between 3D CAD and simulation by offering engineers decision support that is both comprehensive and tailored for their innovations.